A whole case full of goodness. Try the different tastes of this selection of great wines to match your festive meals. 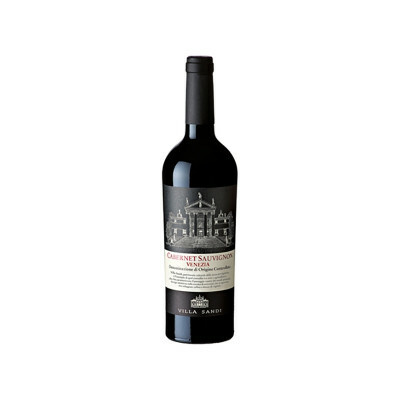 Merlot Venezia DOC 2014 Villa Sandi - (75cl): Soft, fleshy, plum and blackberry fruit dominate this easy-going Venetian. Produced from a D.O.C. established in 2010 between Treviso and Venezia, Villa Sandi’s. 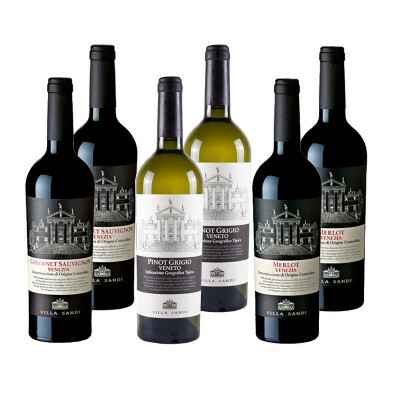 Merlot is a versatile, medium-bodied wine with floral hints and a lightly peppery twist on the finish. At a refreshingly modest 12.5% alcohol, it sits well alongside simple pizza and pasta dishes. Pinot Grigio Veneto IGT - Villa Sandi (75cl): Fresh, subtle and fruity, this is Pinot Grigio at its very best. An incredibly popular wine, well-known for its refreshing lightness, and for being the perfect accompaniment to a hot summer’s day. Marked by fruity and flowery notes that are reminiscent of the countryside in the summer, this Pinot Grigio has a dry, round and flavoursome taste that’s well-structured with a fruity, warm and well-balanced finish. It pairs well with Mediterranean first courses with fish and cherry tomatoes, but is also excellent with raw ham and melon or fresh, creamy cheeses, or most things that you’d cook on a warm summer’s evening. Cabernet Sauvignon Venezia DOC 2015 - Villa Sandi (75cl): Dark forest fruits and cassis characters, with a classic, savoury Cabernet grip. Produced from a D.O.C. established in 2010 between Treviso and Venezia, Villa Sandi’s. Cabernet Sauvignon is fresh, medium-bodied and supremely digestible. Like the Merlot it is, by modern wine standards, a relative lightweight in terms of alcohol at 12.5% - but possibly more appealing as a result. Drink on its own, or with simple beef or lamb dishes. Merlot 100%, Cabernet 100%, Pinot Grigio 100%. IT MAY CONTAIN SULPHITES. Abv 12%.